I’d seen him on a few occasions since returning to live on Montserrat in 2009. His store was a necessity for any mother hoping to stretch dollars to take care of growing children at the start of a new school year. Wayne Fenton Photo of Arrow in 2010. In late January of 2010 we bumped into each other as he waited by the door of the Cultural Centre for his turn to hit the stage at the Montserrat for Haiti charity concert. The country had been devastated by earthquakes and we understood what that meant, having lost two-thirds of our habitable land to the Soufriere Hills Volcano starting in 1995. We’d come out to support Haiti in the same way the Caribbean and much of the world had supported us. I was a Caribbean woman. I was a journalist. I was a fan of Arrow. He stood there thin and frail battling cerebral cancer. He didn’t have to but he was committed to performing that night as he’d done for more than 30 years as a calypsonian and as the Soca King of the World. He’d given us Hot, Hot, Hot. A song that still gets airplay globally. 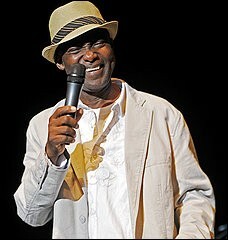 He gave us Groove Master and Montserrat English, and Proud to be Montserratian. Turn on an Arrow track any time day or night and people sing, people move, people feel good. I asked him how he was feeling and he said good. He was happy to be in the building and anxious to get on stage. I wanted a picture with him but I didn’t ask. (Still regret that) Instead I wished him well and absorbed the energy he released on stage for what would be his final performance on Montserrat. Arrow died on September 15, 2010. It changed me. It changed what I believed about music and about legacy. It changed what I knew about media and the power of this new social media that was now taking root globally and no less on Montserrat. I’d started a Facebook page called Spirit of Montserrat (I no longer manage this page) for the Government’s radio station in March of 2010. Posting a few photos here and there and sharing stories of life on island. The day Arrow died that page came alive as people searched out news about him and what the island was doing to celebrate his life. I was proud to be a connector. With every photo, every status, and every bit of video, the page grew and the impact swelled. But the impact was more than about Arrow, suddenly there was a new way to see home. Another version of Montserrat that hadn’t been captured in all of the news stories carried in print, television or digitally about the island, which many believed, people no longer lived on. Through covering Arrow’s life and our celebration of him, the world and Montserratians, many who had not returned since leaving after eruptions began seeing a new side of the Emerald Isle. Yes we were deserving of the moniker. We were not covered in gray ash. We were lush, green, vibrant and very much alive. We loved music. We loved Arrow and we were celebrating his life and ours. By the time of his funeral on October 1, 2010 it seemed as if everyone was talking about the Spirit of Montserrat. They shared the photos, they sent condolences, they showed gratitude for being a part of a celebration they could not attend in person. Adding live streaming and continued photo updates, no one missed a beat. I had no idea of his global influence. Rolling Stones, Billboard, the BBC and many others shared the story of Arrow’s musical impact. Hundreds came for his funeral from around the world. Calypsonians who sang with him, others who were admirers, government leaders, former band mates. They came to honour Arrow. Hands down one of the best concerts I’ve ever been to was the musical tribute which followed his burial. The energy in the place was palpable. You had to be there. Was he really dead when his music made us feel so alive? 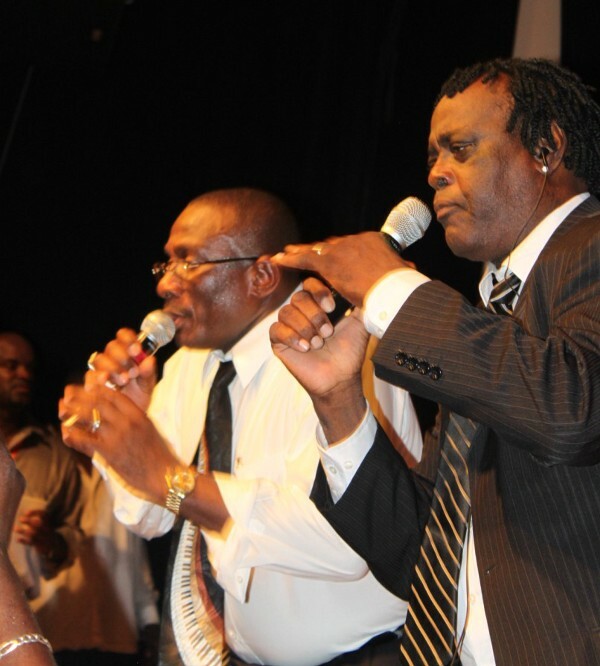 His brother and also a former calypso monarch Justin ‘Hero’ Cassell, who wrote the hit Tiny Winey took the microphone and the place lit up. He is the consummate entertainer and clearly was a big influence on the evolution of Arrow’s performance style. Hour after hour of hits were belted out and no one wanted to leave. Arrow was very much alive in our hearts and minds. I took hours and hours of video on every device I had in my possession until batteries died and memory cards were full. I had a serious case of music envy. I envied all of the men and women who’d seen Arrow perform at the peak of his career. I didn’t want to miss this moment and lose the music. Social media has been a blessing and also a curse. We can get so focused on capturing the music, an image for our Facebook and Instagram pages that we forget to enjoy the experience. I am guilty of that. However, I am very thankful that it existed on those precious moments in 2010 when Arrow passed and that season of celebration that I was able to capture. I pay tribute today to the man and his music legacy and the impact he had on my island of Montserrat. In his death and in his life, he used music to let the world know we were there. He wrote songs to encourage us not to give up the island despite the tragedy. He made music that no matter where you are in the world you still feel like you’re home as no matter the colour, language or belief you’re going to raise your hand and jam. Nerissa Golden is Media Strategist and Business Coach who helps her clients accelerate their business growth by leveraging high impact communication solutions and income generating strategies. Follow her on Facebook, Instagram and Twitter. Need more personal support? Ask about joining the Lady Maverick FB Group. Excellent, an awesome tribute and deserving of a great Calypso Legend! Russell you gonna make me cry today. I did not expect the reactions I’ve been getting to this on social media. I appreciate you taking the time to read it. Rest in peace my love you are truly missed. Your music lives on and we will never forget. What a fitting tribute, to a great Man and friend. I met Arrow on many occasions,both in Montserrat and the Uk. Spent many a day at the store, when I visited. Even jammed in the studio,with my sis,singing hot hot hot. Great times,great memories. Thank you. Thank you Nerissa! A most fitting tribute in memory of our National Icon, the King of Soca, the Mighty Arrow of MONTSERRAT. Thank You Nerissa Golden,you are Truely a talented Journalist,this brought back so much good Memorys..R.I.P. Mighty Arrow Soca King of The World,we will never forget you..
On behalf of our entire family I say many thanks Nerissa.Very well done. Thank you so much Mrs Watts. I am honoured. I’m proud to say I was there and saw him perform on that night. Thank you for the memories. May his memory live on. Althea Arrow has left us such a collection of remarkable music through which we can remember him. A wonderful article, beautifully written. Thank you. Thank you for reading Gloria. Appreciate your feedback. Well done Nerissa and keep up the good work. Since his death (which I haven’t come to terms with yet) when ever I visit The Emerald Isle and I don’t see him, I always think he ketch ah flight and gone Miami etc again. Gone to soon. Continue to R.I.P my friend. I appreciate you reading and for the feedback Sharon. Great article about a man who touched many lives, both on Montserrat and abroad. I will always remember his smile and kind words. A very fitting tribute to the King of Soca. Arrow…….we miss you dearly. Thanks Nerissa for reminding us of who this wonderful person who touched our lives.